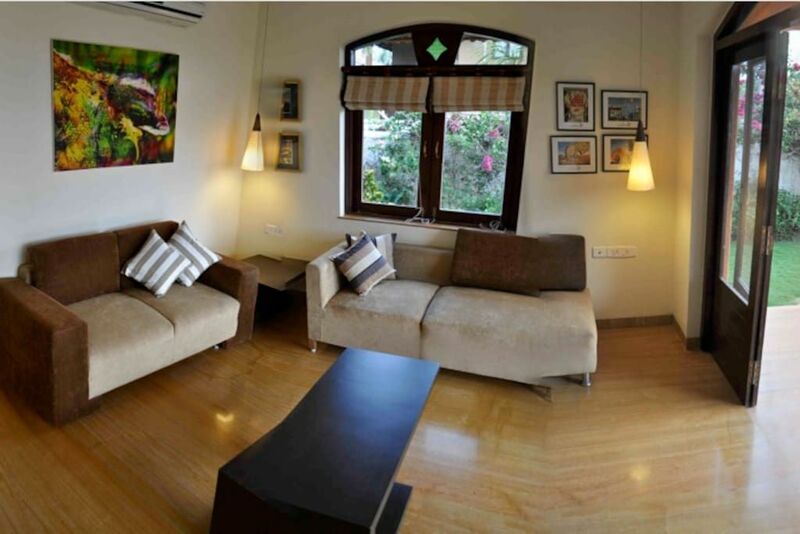 Three Bedroom Villa with a traditional Goan flavour, the villa is a ground plus one floor build and is a part of a gated community. Caretakers, cleaners and security are always close at hand. Enjoy a quiet pastoral stay with the trappings of a energetic holiday all close at hand. Many beaches just a short drive away. A partly equipped kitchen and a garden allow for al fresco cooking and barbecues.